Portuguese director Miguel Gomes’ distinct follow up to Our Beloved Month of August is in fact two films rolled into one - both of completely different genres. The first is a contemporary-set story of Pilar, a kind-hearted woman living in Lisbon who grows concerned for her neighbour Aurora, a paranoid woman who believes her Cape Verdian maid Santa is conspiring against her. When Aurora is admitted to hospital she requests that they track down a man called Ventura who Aurora knew many years before. On finding Ventura he reveals the story of Aurora’s youth in Africa, living at the foot of Mount Tabu. This story makes up the second part of the film, a melodramatic, silent era-style endeavour, shot on textured 16mm. This unusual structure provides a delightful and rich juxtaposition, the two halves complementing and conversing with each other on themes of memory and colonialism. 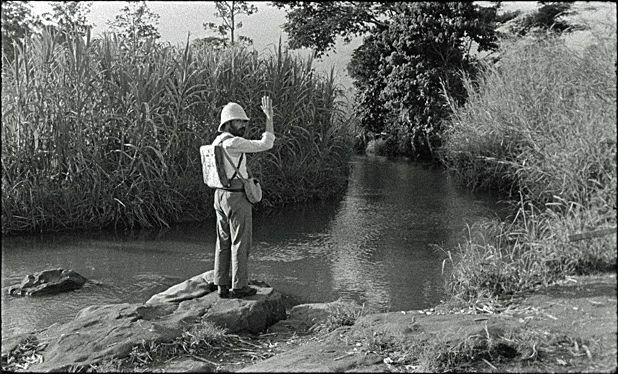 In addition, the ravishing black and white cinematography makes Gomes’ film a wonderfully cinematic experience. Tabu is a rare work that manages to draw on the past while creating something that feels very modern indeed. Selected release from Fri 7 Sept.